Celebrities hugging each other in public or in movies are quite common. However there are a few stars, who once upon a time were rivals, forgot the bitterness and made way for a fresh start. 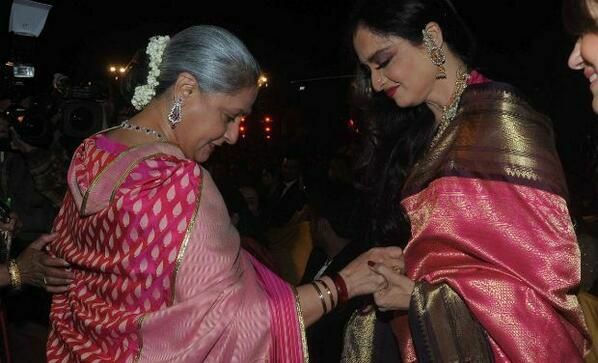 Award nights are like a meeting point for many celebs but the recent Screen Awards in 2015 turned out to be a special one, with the women greeting each other with a warm hug! The Khans fell out in 2008, at Katrina’s birthday party and ever since then their relationship has been on the rocks. 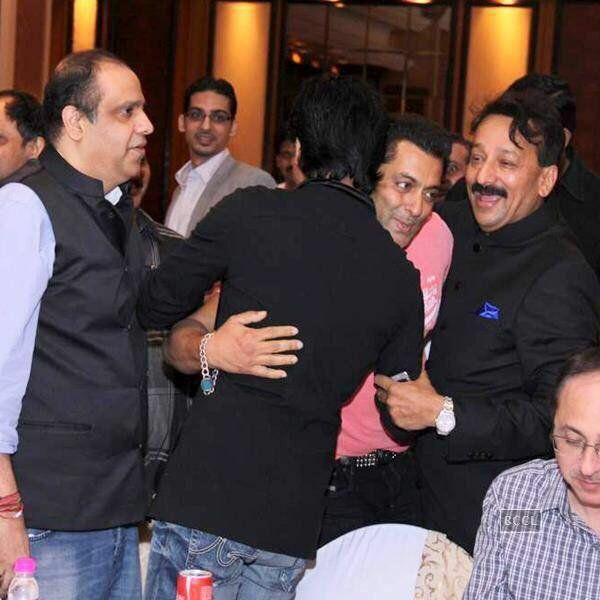 However MLA Baba Siddiqui’s Iftaar party in 2013 turned foes into friends. Big B gave a warm hug to his bahu at the Sansui Colours Stardust Awards in 2015. Ash bagged the award for her power-packed performance in Jazbaa while father-in-law Amitabh won the best actor award for Piku and Shamitabh. While most couples choose to keep their relationship discrete, Virat and Anushka were spotted hugging in public at the IPL 2015.
Who would have missed Raj and Simran hugging each other as they cam together to celebrate 1000 weeks of their evergreen love saga Dilwale Dulhania Le Jayenge! Deepika and Ranveer smothered Sanjay with hugs and kisses during the special screening of Bajirao Mastani.